Everything Dinosaur’s team members get asked to do a lot of work for various companies, we undertake such work usually free of charge as our objective is to try and help the organisation with educational matters, such as getting information correct about a particular dinosaur, perhaps information for a museum exhibition, a product leaflet or even literature aimed at the school’s market. One example of such work undertaken is our current research into the basal tyrannosauroid from north-eastern China Yutyrannus huali. We have our own fact sheet and scale drawings of this particular member of the Tyrannosaur family. This information has proved to be very useful as we prepare notes to assist with a data card all about this Theropod dinosaur. Yutyrannus huali meaning “beautiful feathered tyrant” and sometimes referred to as being a relative of the more famous carnivorous dinosaurs of Late Cretaceous North America, as this dinosaur has been classified as belonging to the same superfamily of Theropod dinosaurs as the iconic T. rex, was scientifically described in 2012. It roamed north-eastern China during the Early Cretaceous. The scientific description was based on three, nearly complete fossil specimens excavated from strata associated with Liaoning Province. 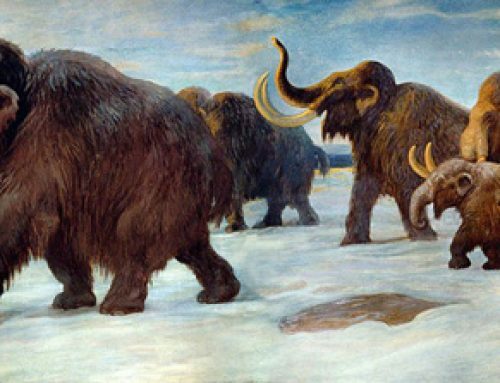 The holotype fossils, representing the largest of three individuals indicate that adult animals may have reached a length of around 9 metres and weighed approximately 1,400 kg. Evidence of plumage (feathers) is preserved on parts of all three known specimens. Whilst there is a lot of evidence to indicate that many small Theropod dinosaurs had feathers, Yutyrannus huali fossils suggest that some giant carnivorous dinosaurs may also have been feathered. It has been speculated that feathers may have helped insulate and keep these dinosaurs warm as this part of China during the Early Cretaceous had a decidedly chilly climate, with average annual temperatures roughly equivalent to what they are today in north-eastern China. Isotope studies using the wonderfully well-preserved teeth of this dinosaur indicate that the average annual temperature in north-eastern China during the time when Yutyrannus roamed was about 10 degrees Celsius. To put this in perspective, this is approximately the same annual average temperature of Manchester in England or Washington D.C. in the United States. If Yutyrannus was alive to day it would have been perfectly at home in northern England or indeed on the eastern seaboard of the United States. It’s all part of Everything Dinosaur’s customer service.